Attorneys Jim Black and Tracy Jones begin every Workers’ Compensation case by thoroughly investigating the legal and factual basis for each workers’ compensation claim, never relying upon insurance companies to state the issues. Their thorough knowledge and understanding of the rights of the injured individual as protected by the Illinois Workers’ Compensation Act guide them in each individual case assessment. Following the initial review of each claim, Black and Jones Attorneys at Law files an Application for Adjustment of Claim before the Illinois Workers’ Compensation Commission (IWCC). Attorneys Black and Jones work aggressively to move the file through the system by securing needed medical records and expert medical testimony, if necessary, to establish a strong case before the Illinois Workers’ Compensation Commission. At times it is even necessary to secure expert medical testimony through a deposition. 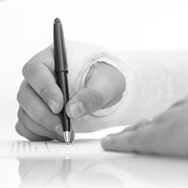 Throughout this process Attorneys Black, Jones and their staff make certain the insurance company fulfills its legal obligations under the Illinois Workers’ Compensation Act. Some claims are disputed by the employer or their insurance company. In these situations as well as non-disputed matters, Black and Jones Attorneys at Law continue to identify the legal and factual issues of the case and to gather evidence needed to present the claim before the Illinois Workers’ Compensation Commission in such a manner as to increase the probability that the injured workers’ claim will be successfully resolved. 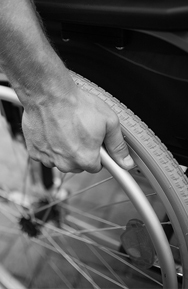 Black & Jones offer representation on Social Security Disability cases. This encompasses both Social Security Disability Insurance (SSDI) and Supplemental Security Income (SSI). Social Security Disability is available for any individual who can not engage in substantial gainful activity because of a physical or mental impairment which is likely to last 12 months or more, or result in death. SSDI is available for those who are fully insured through payroll deduction. If one does not have a work history and is not insured, SSI is available as long as they meet certain asset levels. Most people who apply for SSDI or SSI are turned down twice. The denials require action within 60 days. If one waits more than 60 days, a new application process must be initiated. Black and Jones Attorneys at Law can help by gathering together the evidence necessary to establish that one meets the definition of disability under the Social Security law. Attorneys Jim Black and Tracy Jones represent individuals who have been seriously injured or killed due to the negligence of others. This includes auto accident cases, construction cases, animal attacks, or any other situation where the wrongful conduct of another has caused injury. Black & Jones represents veterans seeking compensation before the Department of Veterans Affairs. 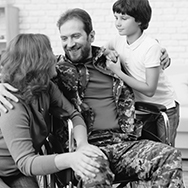 If you suffer from a medical condition or disability as a result of an injury or condition acquired while serving in the military, you may be entitled to disability compensation. The process is filled with red tape and is very long. Black & Jones will assist you in applying for benefits or appealing a denial by gathering medical evidence to substantiate the disability and presenting it to the VA in a clear and concise format. 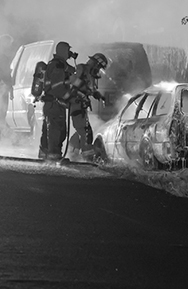 Black & Jones offer assistance to our first responders who are seeking disability pensions before the Police and Fireman Pension Boards. Most police officers and firefighters apply for the disability pension without the aid of an attorney. However it is beneficial to obtain legal representation for the hearing held before the Board. If your disability was from something that occurred while on duty, then we can assist in obtaining a line of duty disability pension which offers substantially increased benefits than a regular disability pension. Black & Jones will also ensure that you know additional rights you may have regarding work related injuries and, if applicable, your right to pursue Social Security Disability benefits. The interplay of the different benefits within each system can be confusing and Black & Jones will ensure you understand how they each effect the others. If the disability is not work related, Black & Jones can still pursue a regular disability pension and will ensure you know your rights regarding Social Security disability benefits if applicable.